A poignant, deeply funny coming-of-age story about first love, first loss, and the power of history to give life meaning. * "[An] impressive debut... John Green fans will gobble this one up ." -- Kirkus, starred review History buff Ray knows everything about the peculiar legends and lore of his rural Connecticut hometown. Burgerville's past is riddled with green cow sightings and human groundhogs, but the most interesting thing about the present is the new girl--we'll call her Jane Doe. Inscrutable, cool, and above all mysterious, Jane seems as determined to hide her past as Ray is to uncover it. 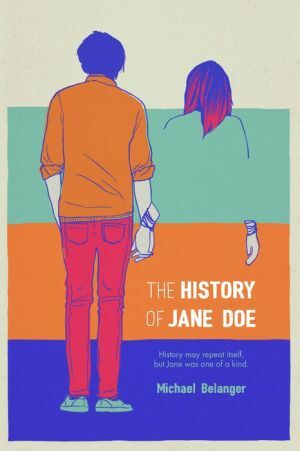 As fascination turns to friendship and then to something more, Ray is certain he knows Jane's darkest, most painful secrets and Jane herself--from past to present. But when the unthinkable happens, Ray is forced to acknowledge that perhaps history can only tell us so much. Mixing humor with heartache, this is an unmissable coming-of-age story from an exciting new voice in YA.